There was a day when markets would laugh at the notion that some Chinese minister could slam the euro with his mere words. Things have changed. 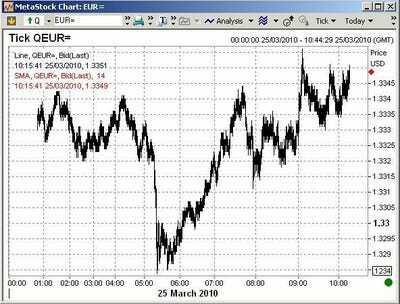 Nevertheless, the euro dipped sharply against the dollar about 0530 GMT on the day — the comments seemingly pushed the currency through some critical stop-loss levels, although it appears to have rebounded since then.